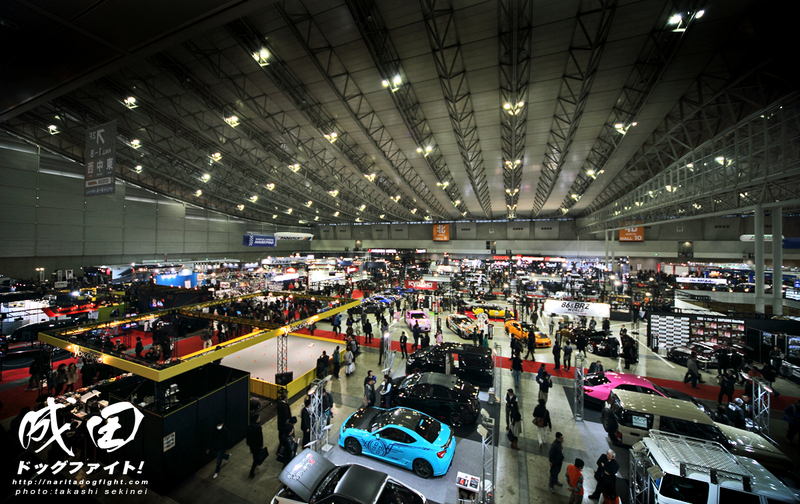 We’ll get right back into the TAS coverage, as you can see in this shot there is a lot of ground to cover under the giant ceilings of Makuhari Messe in Chiba, Japan. One tuning shop, that has been around a while mind you, that I always love seeing and hearing from is Pit Road M. This year, much like previous years, Bruce-san had his booth in the RH9 section. A select group of high power tuners that are awarded the right to display the RH9 badge. It wouldn’t be a PRM booth without one of their iconic GTO builds. The ‘forgotten’ chassis in most peoples eyes, but not Pit Road. 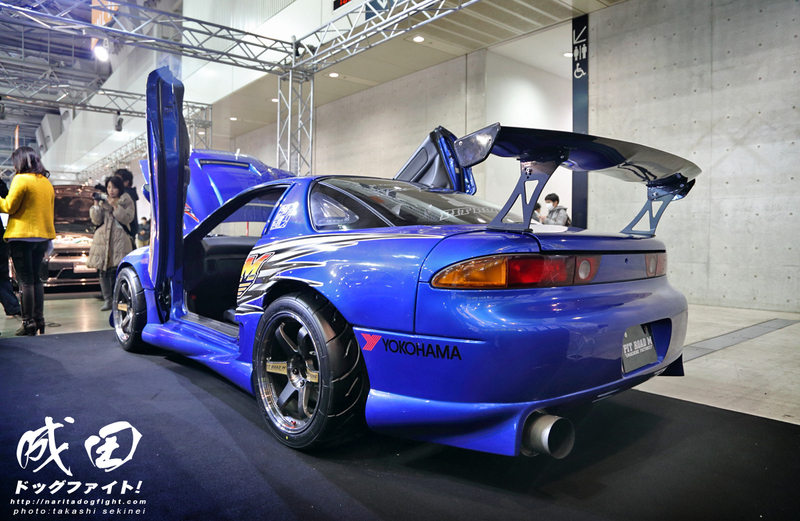 Always modified aesthetically with their unique style, and the power to match under the hood. 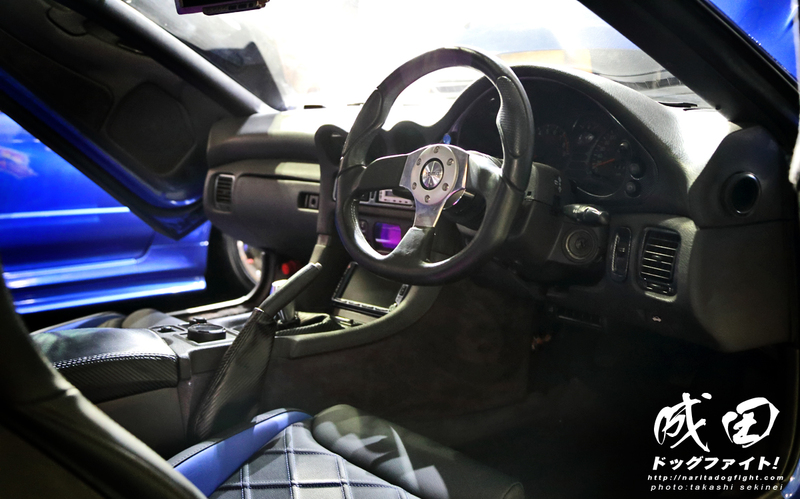 Interior of the GTO was tastefully done. A nice shot of the engine bay. 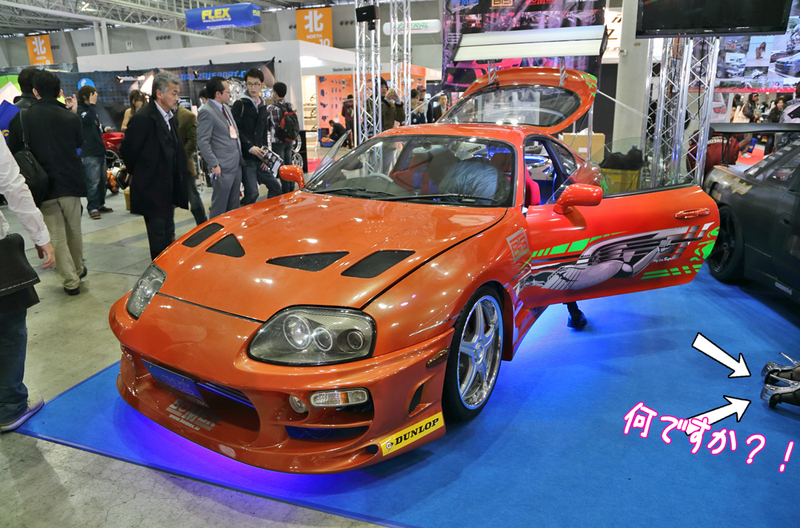 Are their any fans familiar with the GTO? 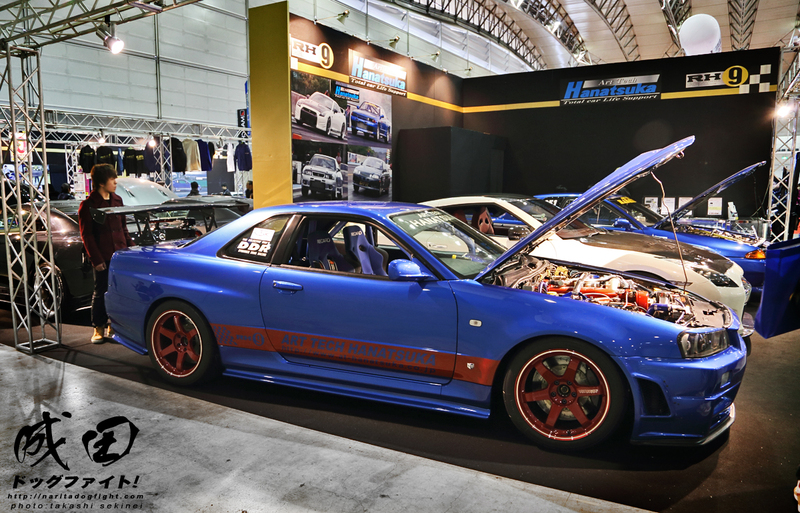 Also on display was one of their R34 builds. We plan to have an in depth look at Pit Road M coming up this year, so stick around. Bruce-san is an incredibly nice person, and I can’t wait to profile what PRM is all about. Art Tech Hanatsuka, another high power tuner, was on hand with the RH9 group. You can see photos of their drag battles in the back of the booth. 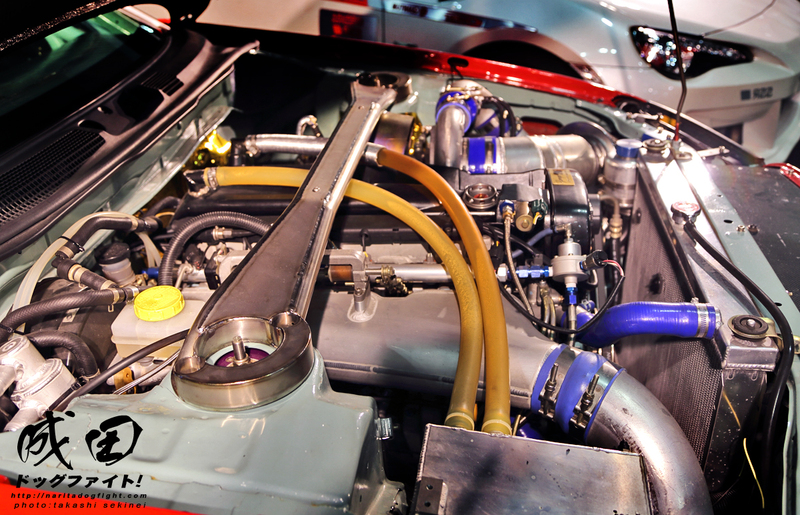 The Weld 86 was garnering quite a bit of attention, and is being hailed as possibly the best build at the show. Painted in a beautiful flake, merlot color; not quite like their other liverys, but very elegant. 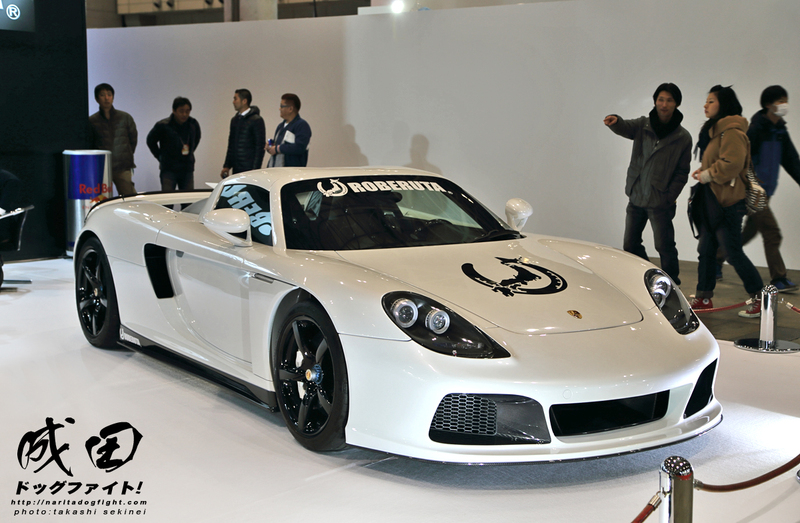 The rear was boasting Voltex’s new swan neck wing. The engine completely redone with a custom intake manifold. This GTR was sporting Bensopra rears, with what looks like it could be their next reiteration of the GTR kit up front. 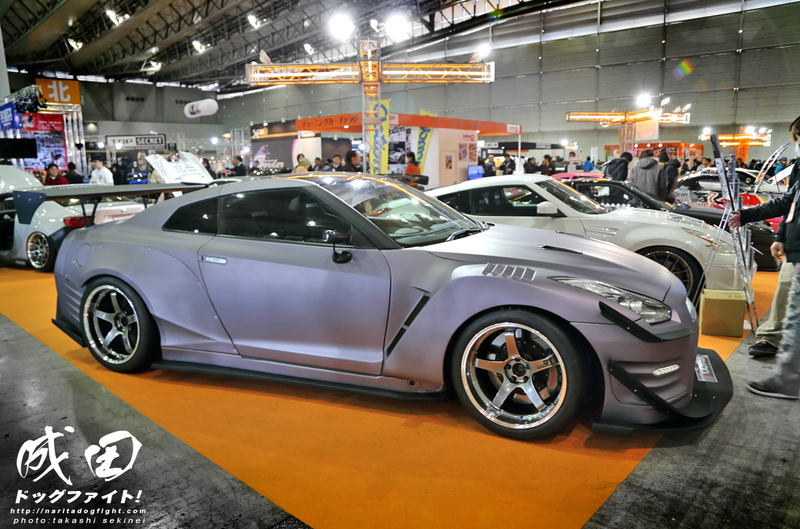 TM Works R35 at the RH9 booths. Bensopra/Rocket Bunny/Greddy build that was the focus of attention last year. 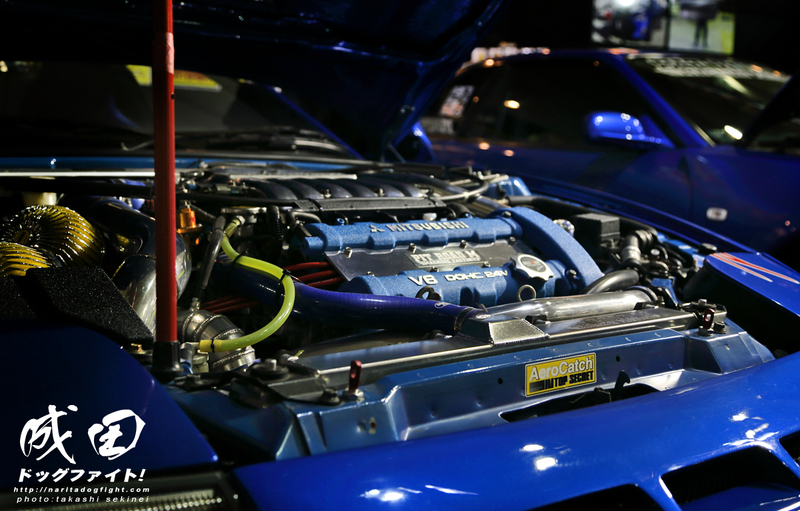 This Rocket Bunny RPS13 from Nouvelle Vague racing team was really cool – check out the engine bay! 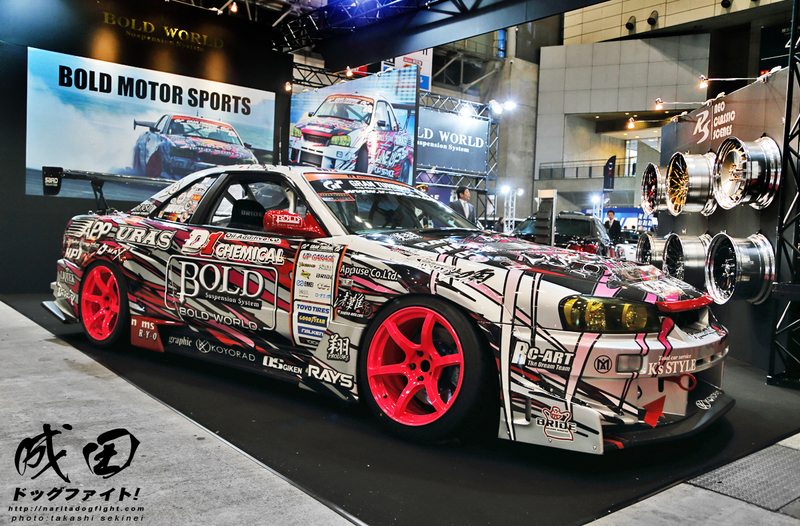 Really cool Skyline from Star Road on display with a set of their new Glow Star/Work wheels. 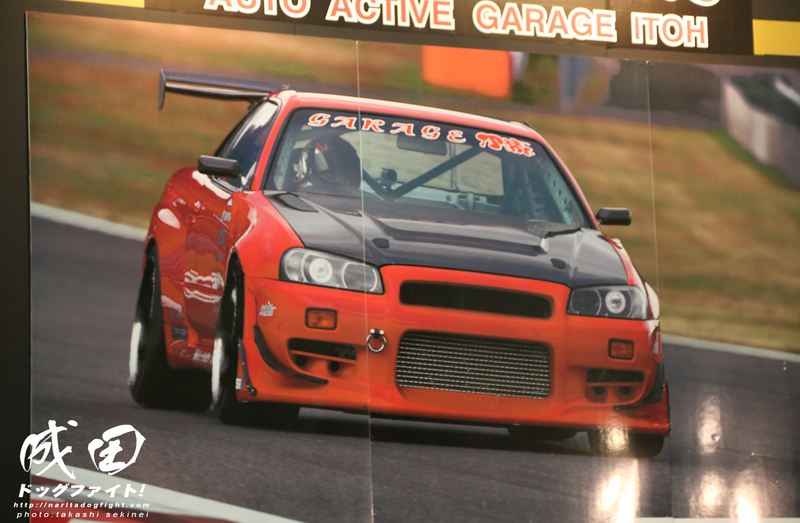 Also at the RH9 booth was Garage Itoh’s time attack R34. 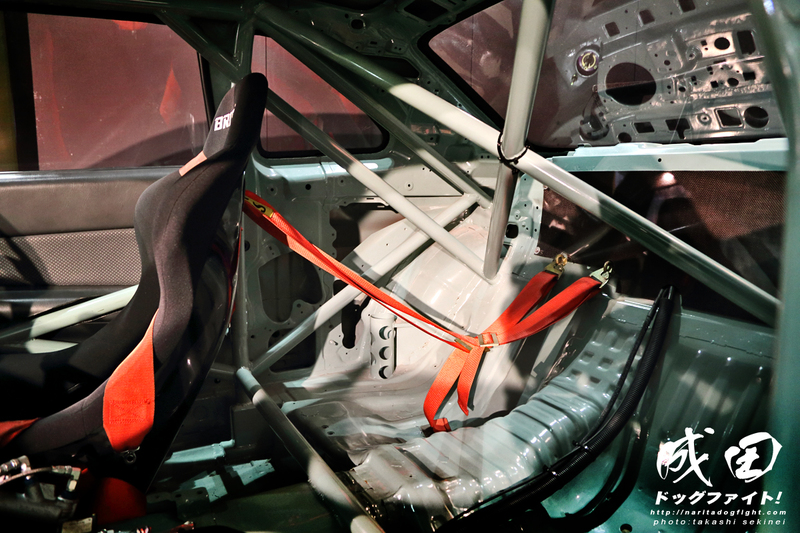 …as well as the interior cage work. I love seeing race cars displayed at TAS amongst the immaculate show cars. I’ve always been a fan of this build though, and if you look back to our previous years TAS coverage you’ll see a few pictures as well. A picture of a picture of it in action. 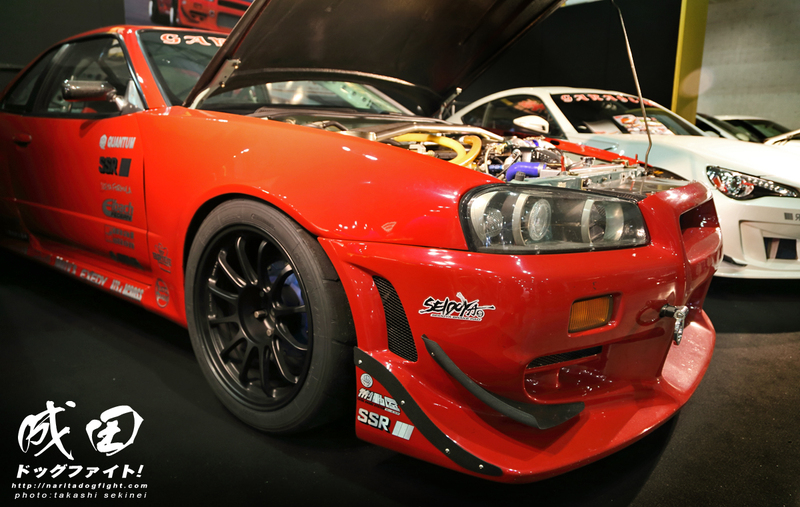 One more shot of the custom built RB26. 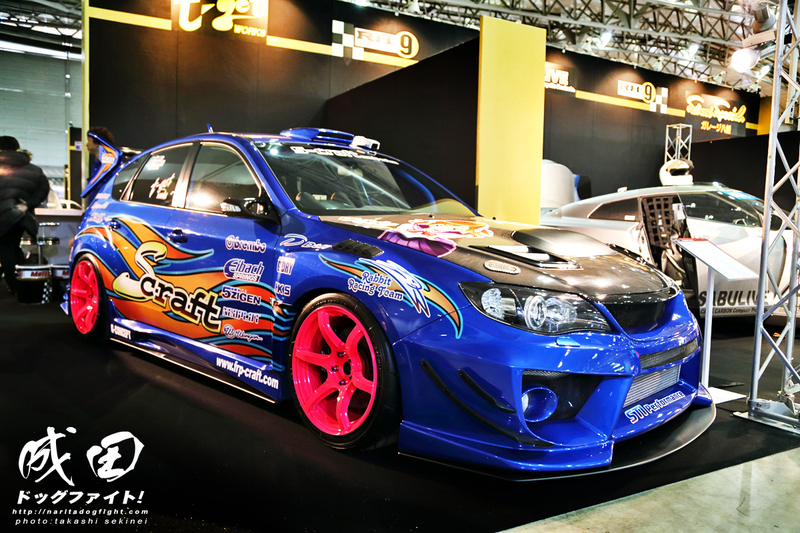 S Craft STi – check out the rear wing. You’ve probably been seeing a lot of the Roberuta F40 that was on hand, but not much of this Porsche GT that was next to it. 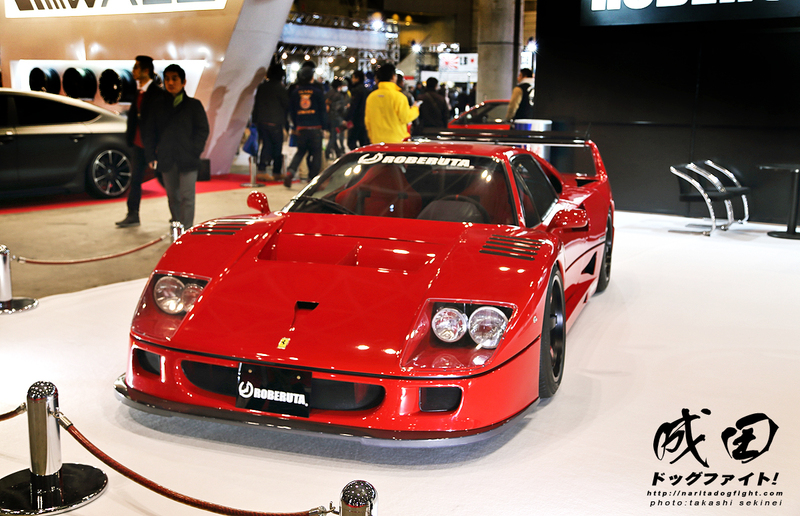 The F40. The Roberuta booth had a privately hired security guard watching over the cars…as if in Japan that was really necessary. 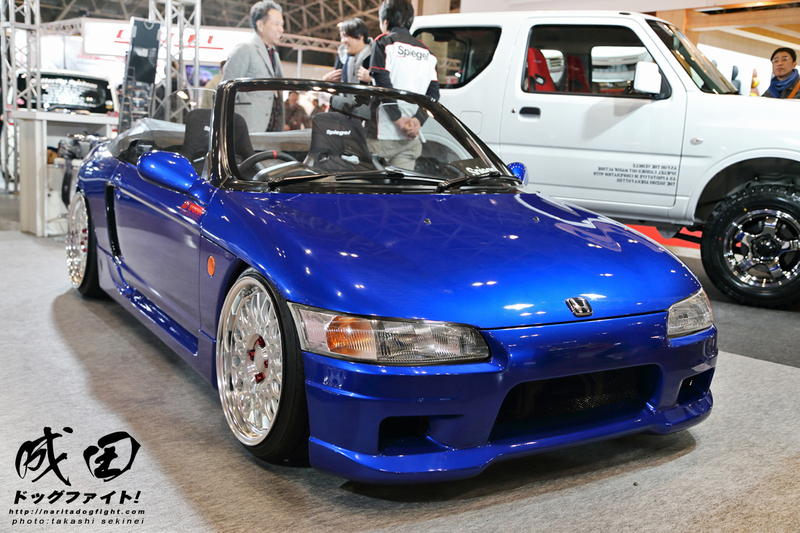 On the opposite spectrum from an F40, there is the Honda Beat; this one built by Spiegel. 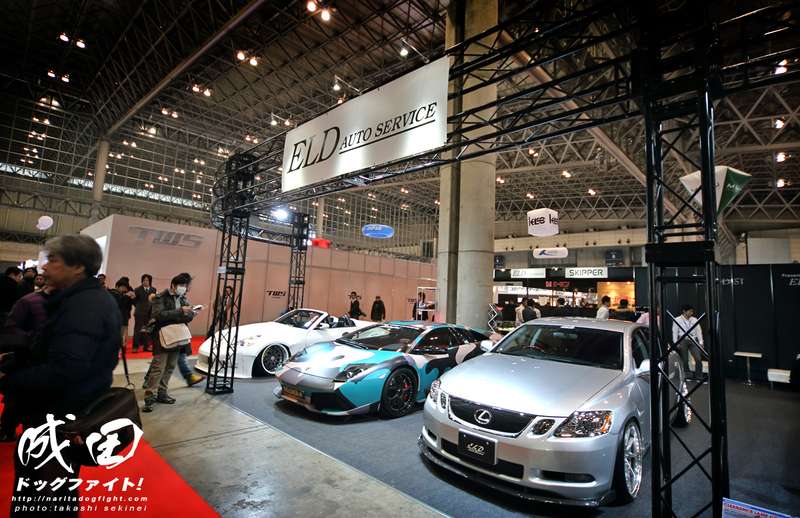 Our friends over at ELD had a pretty large display that included a variation of cars from a Lexus, a Lambo, and a Z33 that I think was built in collaboration with Star Dast. 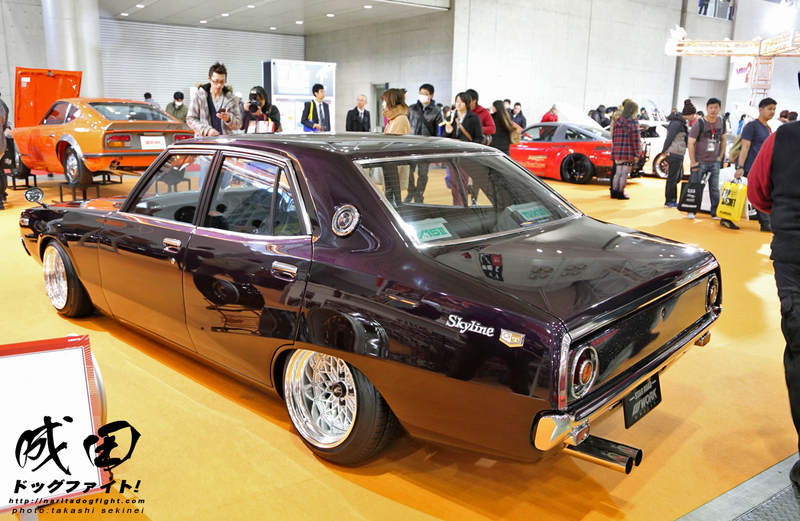 At the 326 Power booth, Haraguchi has completely decided to throw out any sport related builds in favor of the ever popular big bodied sedan builds. This Aristo was looking pretty great. And next to it they brought out a Odyssey of the same caliber. 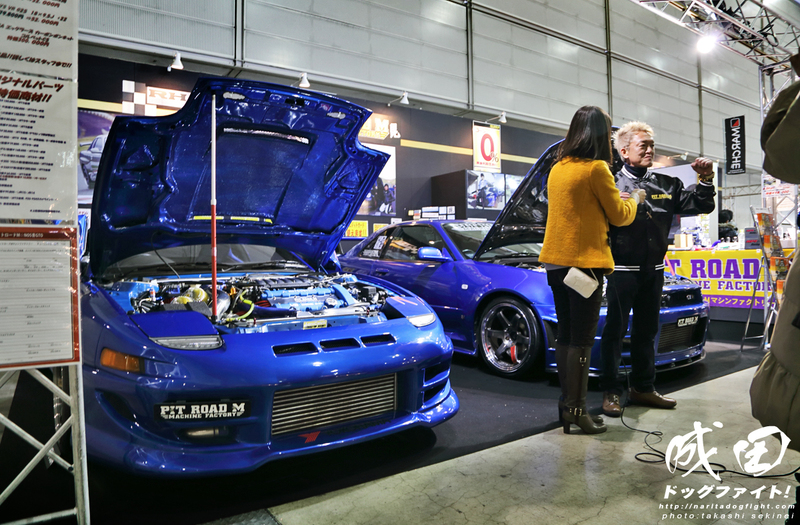 Bring back the FC! 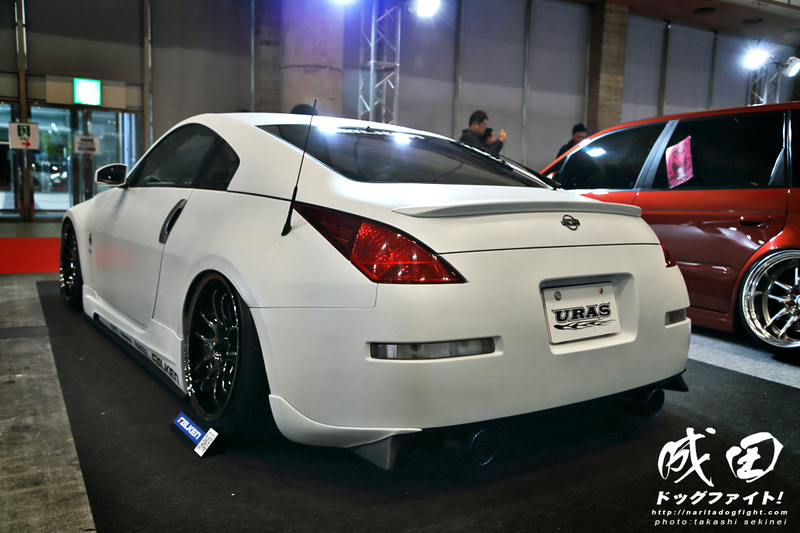 URAS had on hand this Z33 with their very subtle aero kit on it. Really like the look of this as it’s not something you normally see from them. Hands down their GT kit is still best ever in the universe. 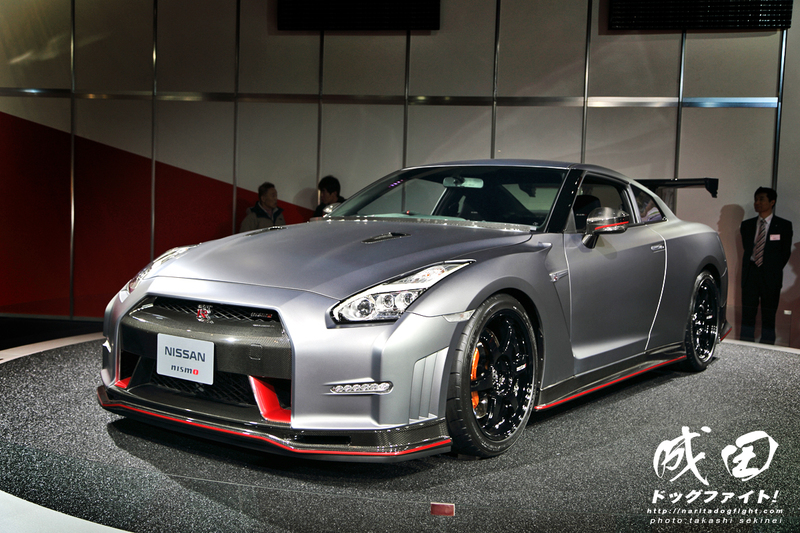 Nismo GTR looking as classy as possible. Vibrant builds like this littered the grounds of TAS. These fit into a very niche category, but it’s still nice seeing the tremendous amount of work that goes into customizing them. 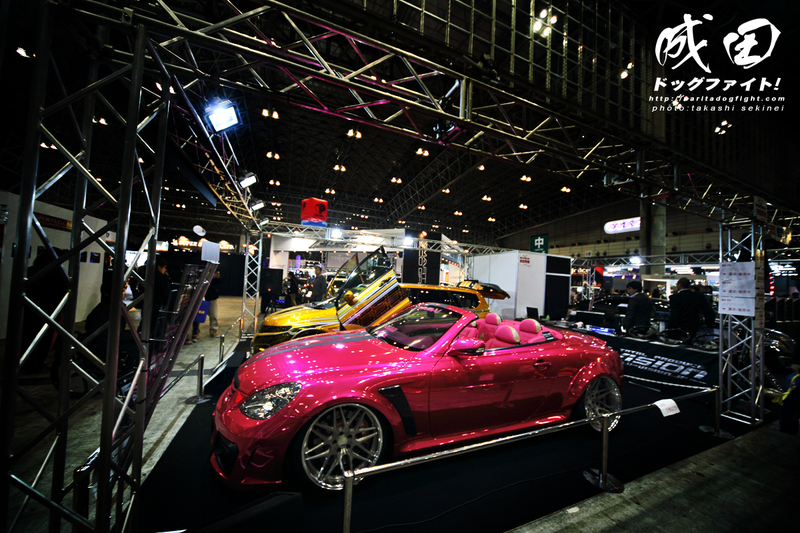 Liberty Walk had a very extensive booth with their GTR and few of their Ferrari builds, as well as a handful of good looking girlies too. 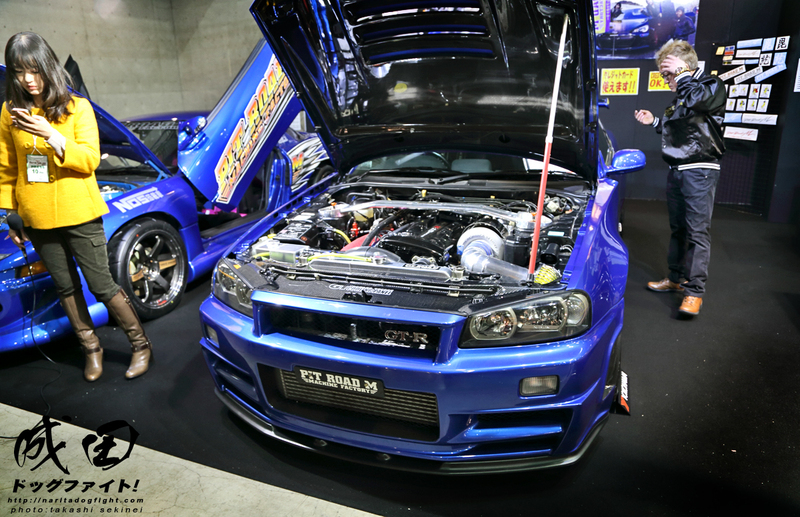 Another couple shots of the Bold World R34 because, well, I love this car. 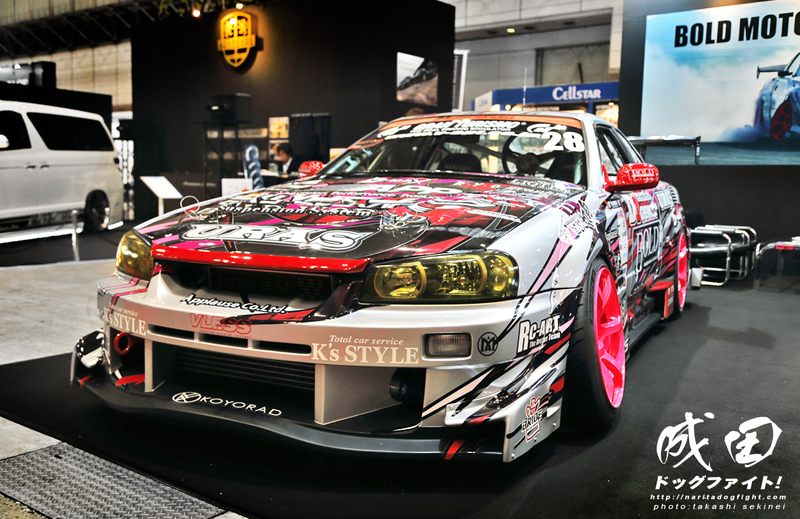 R34 with URAS GT, RYO Graphics, SARD wing, Koyorad system…how can you not love it. 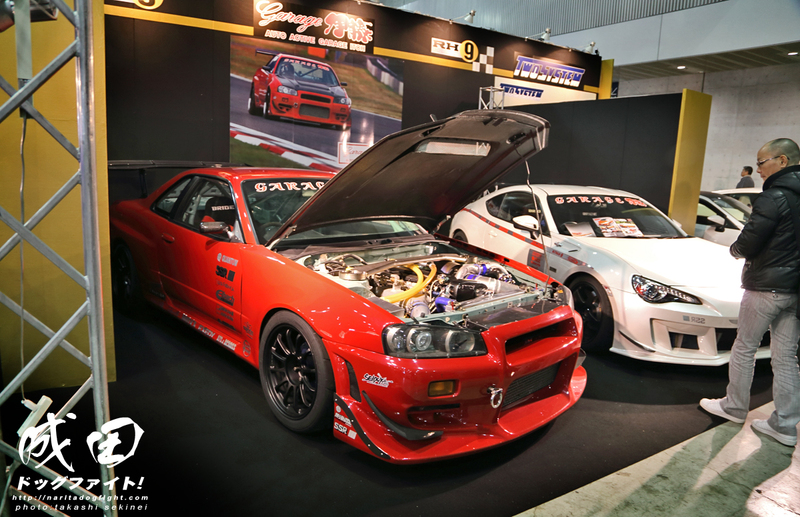 Stay tuned for more from Tokyo Auto Salon!